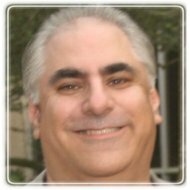 Houston Therapist: Phil Ginsburg - Therapist 77095. I have extensive experience working with addiction related issues with the effected individuals and their families. I work with people that have dual diagnosis or co-occurring mental substance abuse and mental health disorder. Send A Message To Phil. Phil Ginsburg has a Masters in Counseling from Sam Houston State University. He is a National Certified Counselor, a Licensed Professional Counselor, Licensed Marriage and Family Therapist, and a Licensed Chemical Dependency Counselor,. Phil works with individuals experiencing adjustment to life cycle events, Career Counseling, Grief related issues, Substance Abuse and Addiction, Co-Occurring Disorders, Major and Bipolar Depression, Attention Deficit Disorders, Sexual Concerns, Anxiety Issues, Compulsive Behaviors and Trauma. Phil provides pre-marital counseling, works with all couples and families experiencing negative interaction cycles, parenting, communication problems, and co-dependency issues. He provides psycho-education to assist individuals and families effectively help themselves or other family members who have challenging mental health needs. Phil has worked as a counselor in a long term residential treatment facility with women who have substance abuse and other mental health challenges, referred to as co-occurring disorders, or dual diagnosis. Many of the women Phil has worked with in treatment have also experienced severe trauma and abuse. Phil has been published recently in the American Counseling Association’s Family Journal and the Journal of Individual Psychology. Eckstein, D., & Ginsburg, P. (July 01, 2010). The "staying together in needy times" (STINT) couple's questionnaire. Family Journal, 18, 3, 310-315. Prior to returning to school to pursue a career in counseling, Phil had an extensive international business career, traveling frequently to offices in the US, China, and London.